We are halfway through 2014 and Microsoft is having a good year - well, almost - even if it had to cut 18,000 jobs, can the Surface Mini, kill Android for Nokia, shut its Xbox Entertainment Studios and merge its tech conferences. The Xbox One was met with widespread praise and has been selling in record numbers; Windows Phone is improving rapidly, introducing Cortana; Windows 8.1 garnered praise and, most importantly, continues Microsoft's vision of one day linking the PC and smartphone together. And of course Satya Nadella, who was appointed in February, is making vast improvements to both the ideas and operation of Microsoft, unveiling software and services which would never have occurred under Steve Ballmer, including Office for iPad, which opens up Microsoft and pulls the company further into competition with Google, Apple and others. The Microsoft of the past is gone. Under Steve Ballmer's leadership Microsoft managed to miss out on both the smartphone and tablet explosions, forcing the company to rely on desktop sales and enterprise customers, and causing the "Microsoft" brand become irrelevant to consumers. The latter - enterprise - is a solid bet. The former - desktop sales - is not. Revenue from enterprise continues to climb rapidly, but desktop and laptop sales are in free fall, with the prospect of growth becoming less and less likely as smartphones and tablets dominate buying patterns. Satya Nadella aims to focus Microsoft on becoming a "devices and services" company, expanding Microsoft's software offerings – notably to the iPad with Office – and increasing the focus on hardware and, unsurprisingly, devices (including Internet of Things), filing patents for smartwatches and unveiling the Surface Pro 3, a direct competitor to both laptops and tablets, which Microsoft expects to be the pinnacle of Windows 8.1. The Surface division is one of great interest to investors, analysts and technology pundits alike. Just as Google does with its Nexus line, Microsoft holds up the Surface as an example of exactly how Windows hardware should be made and should function. Sales of the previous Surface tablets – the Pro, which competes with laptops, and the vanilla Surface which competes with the iPad – have been poor, meaning Microsoft has taken financial hits on unsold stock to the tune of $900 million (around £525 million, AUD$960 million). The Surface Pro 3, and updates to the Surface which are expected soon, show that Microsoft has chosen to play the longer game, investing time and money in the Surface brand and giving Microsoft a potential revenue source outside of software. Microsoft brands the Surface Pro 3 as a device aimed at businesses, touting truly unique features such as "true" multitasking which allows applications to run side-by-side on the screen, and the laptop-style keyboard cover. While the Pro is expensive, businesses tend to have deeper pockets than consumers and so can afford to buy the hybrid in bulk. 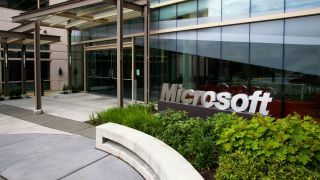 The tide won't turn in the next few years – the iPad, for example, has taken four years to reach its current market-leading position – but Microsoft appears to be willing to stay put. In terms of expansion of the Surface line, Microsoft will likely stick to incremental upgrades coinciding with new versions of Windows. The Surface Pro 2 is under a year old and Microsoft has already released the Pro 3, showing a total commitment to the programme and willingness to move fast (in the past, updates to Windows have occurred bi-yearly, or less frequently). Introducing the Surface as a gold standard device that can help other OEMs build machines is beneficial to both Microsoft, which makes money from them, OEMs who can compete, and the Windows ecosystem as a whole.